A one page website template displays everything on a single page. Unlike a traditional website that spreads information over multiple pages, a single-page website is simplified and condensed. 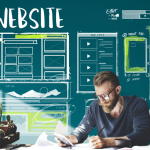 This gives website creators more control over the visitor’s experience since they can display key information more prominently, but it comes at the expense of less content overall. In this guide, we’ll walk you through the six steps of creating a one-page website. We’ll be using WordPress as an example, although the same steps will apply to any website builder. We recommend using WordPress because they have hundreds of one-page themes, plus you can get hosting, email accounts and a domain name starting at just $2.95/month through Bluehost. 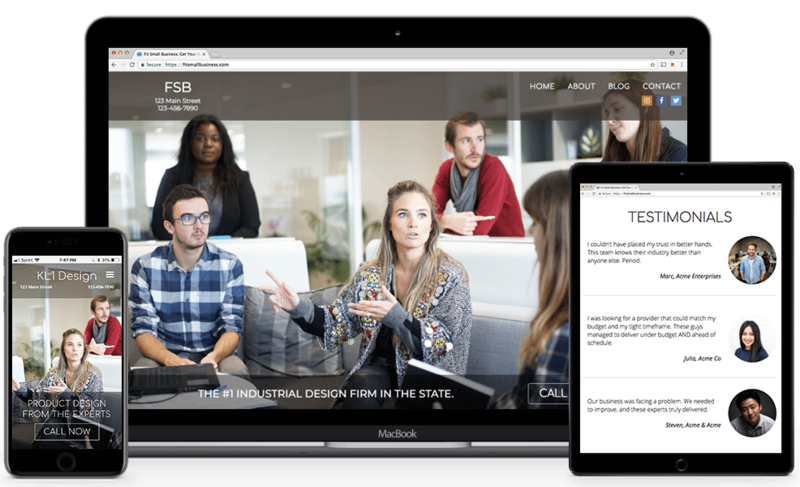 A website template gives you the ability to build a professional-quality website that you can with your own content. At Fit Small Business, we’ve designed a free WordPress theme specifically for our readers: Fit Web Themes Business Edition. It includes all the essential business features on a single, attractive homepage. An effective one-page website directs your attention to a single feature. For most businesses, this will be a call to action that directs users to interact by way of phone, email, or button. This one-page website directs users to click the “Sign up” button. In other cases, a one-page website features tools like a clock, calculator or video player. 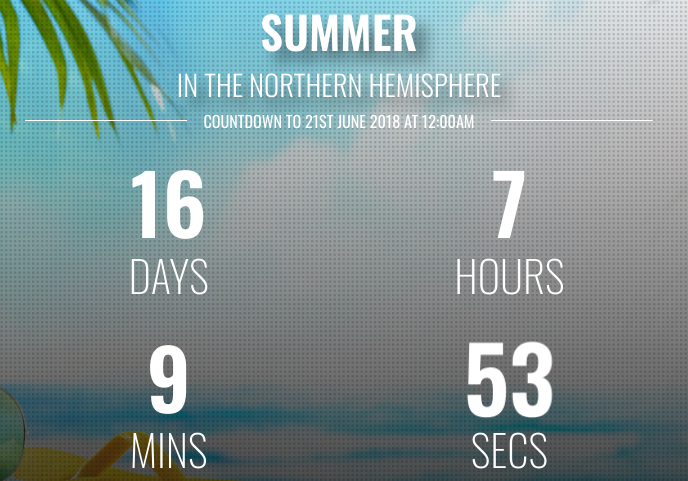 For example, the website yourcountdown.to/summer features a countdown of days until the official start of the summer season. In both these cases, the websites contain additional features, such as social media links, contact information, or banner ads. Scrolling down opens additional sections with more photos, paragraphs, etc. However, there’s ultimately one “main” feature that the website is based around. This is the most effective strategy for a one-page website, and the reason we recommend thinking about it right away. Once you have an idea what the main function of your website will be, it’s time to claim your domain (e.g., www.YourSite.com). You want to do this early so the domain isn’t snatched up by anyone else. It’s also helpful to determine early so you can design your logo and graphics around the name you choose. It’s usually best to find an available .COM domain before considering alternate suffixes. There are a few scenarios where a .NET or .ORG domain can be suitable, but by and large, .COM will appear the most professional and will add the most credibility to your website. 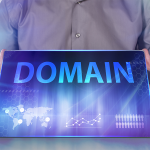 Check our list of domain name tips if you’re struggling to find an available name. As far as where to buy your domain, it depends on where you host your website. For example, Bluehost gives you a domain for free when you sign up for WordPress hosting, which starts at only $2.95/month. Other website builders and hosting services require you to purchase a domain separately, so it’s best to get it from a low-cost provider like Namesilo. We’ll cover these hosting options more thoroughly next. Once you’ve chosen a domain, the next step is to decide where to host your website. A host is the service that actually stores your website and transmits it to visitors. In our experience, the two best host platforms are Bluehost and Weebly. Bluehost is the most versatile hosting option, supporting a huge range of designs and features, and the one that delivers the most value. You can register your domain, host your website, AND get a business email address for just $2.95 per month. Click here to check out Bluehost’s hosting plans. Weebly is a bit more user-friendly and offers more personable customer support. This can make it a better option for less tech-savvy users who only need a simple informational website. However, the trade-off is a higher price tag of $8/month, and this doesn’t include email accounts. Bluehost is the best-priced and most flexible option for creating a one-page website. It uses WordPress for the actual design and management of your website, which is the most popular content management system on the planet. There are tons of different templates and features for one-page websites, so you can design basically any kind of website you like—real estate, restaurant, tech, portfolio and more. To start, you’ll need to choose a one-page WordPress theme, like the free template provided above. With your free WordPress template, you can choose from the thousands of free and paid plug-ins that add extra functionality to your site. You can add an interactive calendar, countdown clock, 3D product tour, ordering system, contact forms, and countless other tools. Just note that plug-ins can cost extra and/or require extra effort to set up, so you’ll want to factor this in if you’re looking for something specific. To get started with a Bluehost/WordPress website, click the button below, then follow our guide for specific instructions on creating your WordPress website. For small business owners who are less technologically savvy, but are willing to pay a little bit more, we recommend using Weebly. Weebly is part of a new class of tools called website builders that make creating a website easier than ever. Simply drag-and-drop elements to design your website, just like a PowerPoint presentation. Editing on Weebly is super easy. Plus they have several one-page templates to help you get up and running quickly, including ones for events, fitness instructors, personal websites and more. The main downside to Weebly is you’ll have to pay a little more money, and it doesn’t get quite as advanced as WordPress as far as interactive features and integrations go. Weebly starts at $8/month compared to Bluehost’s $2.95, although much cheaper than other website builders. To get started on Weebly, click the button below, then follow our guide for step-by-step instructions on how to create a website using Weebly. Once you have a hosting account set up, you can begin designing your website. To make things easier, I recommend drawing a rough sketch of your website first. This will help you decide on the right theme and features before hopping into the editor. 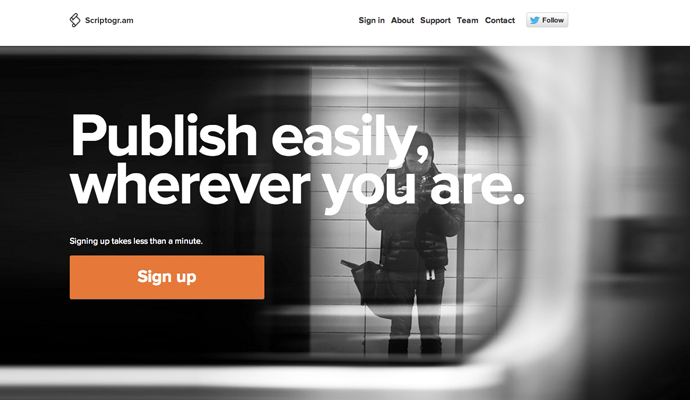 Hero – Your main feature or call to action (CTA). This should be featured prominently at the top of your website. About – A paragraph describing your business or product in greater detail. Contact Information – List your email address, phone number, and mailing address (if you have a physical location). This can also go in your header or footer. Social Media Links – A list of social media icons, often on the header, or a sidebar. Products – If you have products for sale, include a slider display of products, with the option to click and purchase. Testimonials – A list of quotes from previous customers. Gallery – Additional photographs of your products, menu items, location, team members, etc. It’s also a good idea to have your photos and graphics ready before hopping into the website editor. If you have a logo already, find a high-resolution PNG copy to use on the site, or otherwise ask your designer to send you one. Do It Yourself – There are a number of logo design programs out there that will allow you to create your own logo, such as Tailor Brands. Use Fiverr.com – Fiverr.com is a site where you can find all kinds of service providers who are willing to do projects, including logos, for just $5 to $20. If you find a designer with a portfolio you like, this is easily the best option for the money. Use 99designs.com – 99designs.com runs contests where multiple designers compete to design your logo. This is a great option because you get to see many different design options, yet only pay for the one you wind up choosing. (It’s how we found our logo at Fit Small Business!) The price on 99designs ranges from $299 to $799. As far as photography goes, if you have a good eye and basic editing experience, you can take surprisingly good photographs on your own. Otherwise, you may want to hire a local photographer for a day to get some product shots, interior photos, and/or team photos. Armed with your outline, logo, and graphics, you’re more than prepared to begin editing your website. Fortunately, WordPress, Weebly and other website builders are designed to be used by non-professionals. However, I recommend following our guides to creating a WordPress website or creating a Weebly website in order to get the hang of the system. If you simply don’t have time to use a website editor, you can also hire an expert to build it for you. On Upwork, you can find a Weebly or WordPress expert to assemble your website for $10 to $30 per hour. In this scenario, you would supply the outline, logo, photos and text copy. The designer will create a first draft, and you’ll send back revisions until it’s perfect. There are many types of websites that work great with a one-page design: events, festivals, entertainment, single property websites, app websites, personal portfolios, and even restaurants, hotels and other businesses that want to keep things simple. A one-page website saves you time and effort setting it up and makes it easier for your visitors, since all the important information is condensed to a single page. By and large, we recommend using Bluehost, since you get the widest range of features and design, AND only pay $2.95/month. Not to mention, that pricing includes a domain for the first year and professional email accounts for the duration of your service. Hey Jeremy this really awesome content about this Topic,Additional to your content. Brochures tend to be “sell, sell, sell”. But online, readers have a lower tolerance for hard sell, and prefer a morelearn-copywriting-courses informational, soft-sell approach. Think “help, help, sell”. Therefore you should edit your brochure copy to tone down the promotion and turn up the informational content. Hi Johnny. Thanks for dropping in and adding some additional tips!